We live in a broken world and there is no one who this brokenness has not reached. But we who have been broken can be whole again. Truly. Our natural bent is to walk in the flesh, but God is able to help us to walk in the Spirit and be whole again. And to be holy. It is in the pursuit of holiness that we become whole. Let that sink in. God is bringing us from glory to glory, redeeming our story. 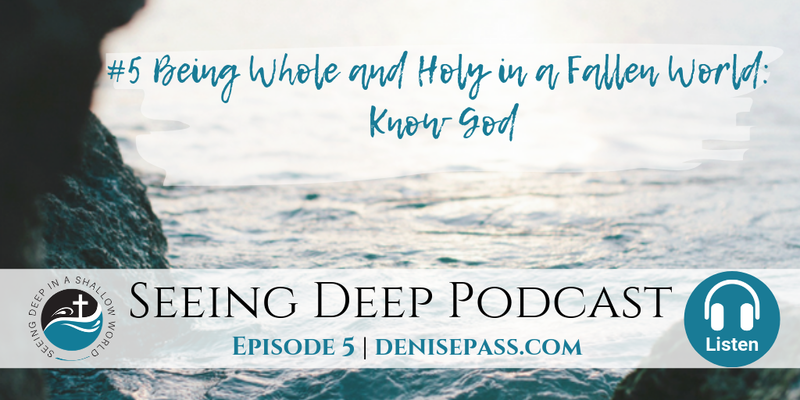 Listen is as Denise Pass shares how knowing God can help us to be whole again.